One question that’s been explored again and again since “Terminator 2: Judgment Day” is: Just how human is the T-800? This film gives a definitive answer. Despite Sarah Connor calling the T-800 “Pops” a few too many times, their relationship is surprisingly effective. The film moves briskly from one set piece to the next, but there are these little touches along the way that lend the father-daughter story real depth. 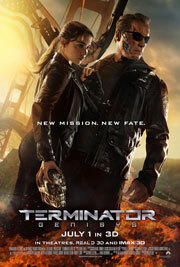 The “Terminator” series made a mistake moving ahead without Schwarzenegger, because he is this franchise. It’s great to have him back, and he’s only grown as an actor over the years. His comic timing is excellent, and on top of that, he knows how to play a struggling father figure, as proven by this year’s “Maggie.” There’s one line he delivers to Kyle Reese that makes the final set piece more than just sound and fury. Emilia Clarke also deserves credit for how satisfying the emotional payoff is, because she completely invests in the love Sarah Connor has for the T-800. The actress’ Connor isn’t only engaging because of how badass she is, but because of her vulnerability, having to face the conflict she once passed down to her son – the burden of knowing your own future. “Terminator Genisys” marks director Alan Taylor’s second film. A terribly thin script held back his first feature, “Thor: The Dark World,” but his eye for mood, clean camera movements and performances showed he’s more than the average director-for-hire. Taylor’s sophomore effort is a considerable improvement. There’s nothing spectacular about his action sequences, but they all contain a sense of danger and striking compositions, reinforced by some terrific production and sound design. “Terminator Genisys” lays the groundwork for sequels, while also telling one contained story. 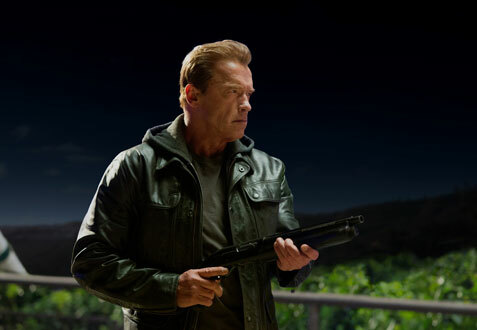 The film is initially hamstrung by deciding to reiterate who the main players are and the stakes to those unfamiliar with this franchise, but once “Terminator Genisys” moves past its setup, it thrives on its clever concept, the return of Arnold, memorable set pieces, and the relationship between Sarah Connor and the T-800.